For all your timber manufacturing needs including of timber packing crates, wooden pallets and boxes; scallops and cradles servicing the Perth area, at Australian Boxes and Cases we have you covered! At Australian Boxes and Crates, we specialise in providing businesses with high quality crates that will suit every need. All our wooden crates are made to order, and at an affordable price. Regardless of the dimensions needed, all our crates are carefully constructed to be easily packed and keep your goods safe during transit and storage. 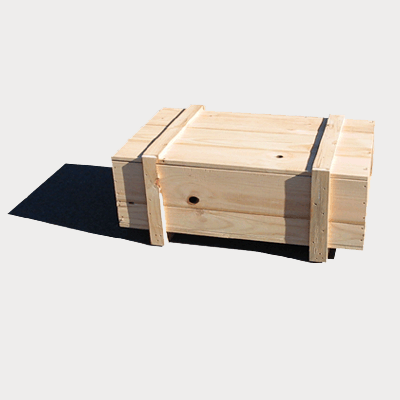 Because our crates are made to such a high quality standard, the wood can easily be recycled and used again. All our wooden crates are also made from recycled materials, so you’ll be keeping your business’ environmental footprint to a minimum. 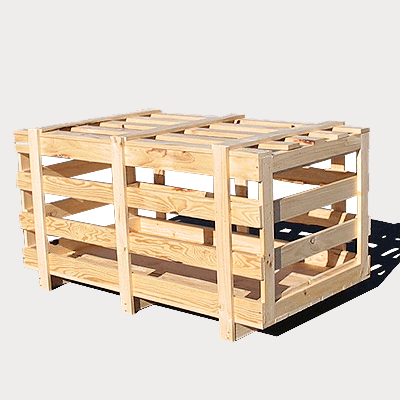 Each pallet is made to your business’ specifications and is delivered to you export ready. This means all our pallets are approved according to the International Standards for Phytosanitary Measure Regulations (ISPM). 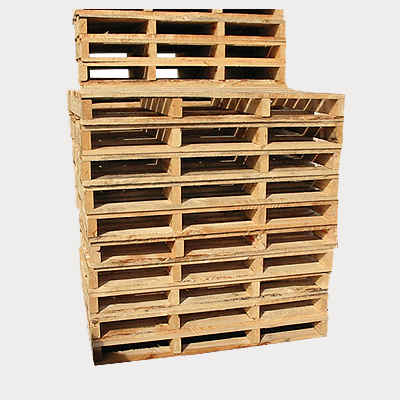 Shipping pallets are a great choice for a wide variety of goods. They can hold all sorts of awkward shapes and heavy items, yet are always easy to lift and transport. Wooden boxes ensure your items are safe and secure when you’re transferring them. We know this is your top priority in moving your goods, so we make it our top priority during the construction phase. One way we do this is by constructing your box to your specifications. By doing this, you’ll be able to firmly pack your goods – keeping them in place and safe from knocks and bumps during transit. 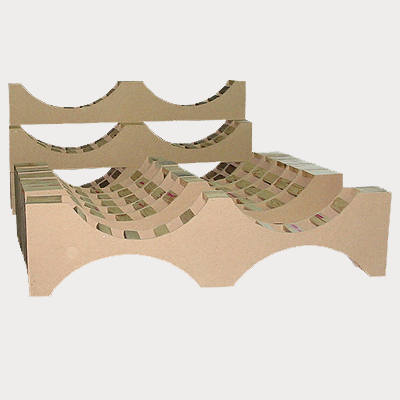 In addition to this, our boxes are made from hardwood medium density fibreboard. This high-grade composite material can perform better than solid wood due to its high density. Saddles are a great option for transporting pipes, wine bottles and any other delicate, round objects. We will tailor your saddle to perfectly fit whatever you need to transport. This will keep your goods safe and secure during transit. By making sure our wooden saddles are perfectly fitted to your specification you can trust that your products will be in pristine shape when they get to their destination. Our team are experts in this fitting process, and can help you get the very best option for your business. Our saddles are also very cost effective, as they never use any more wood than is necessary. Plus you’ll save of having to replace damaged items once you switch to this more secure system. 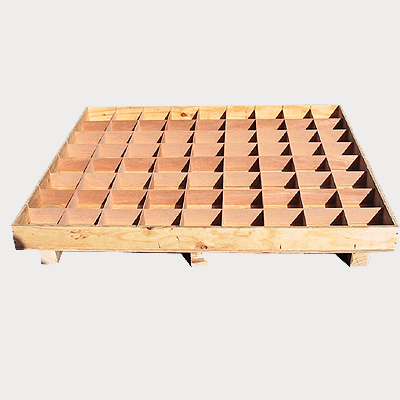 Timber packing crates provide structural strength with no gaps. This ensures your objects are stored solidly and with no impact or damage from moving. Because we custom make these crates they’re a highly effective, efficient, flexible and affordable way to transport your product. Timber is also a great option for the environment as it’s recyclable and reusable. Once your crates have served their purpose in transporting your items, they can easily be turned into other wooden items, such as furniture. All out timber packing solutions are made ready for international trade, meeting all guidelines needed to ensure your products make it smoothly from a to b without any holdups.